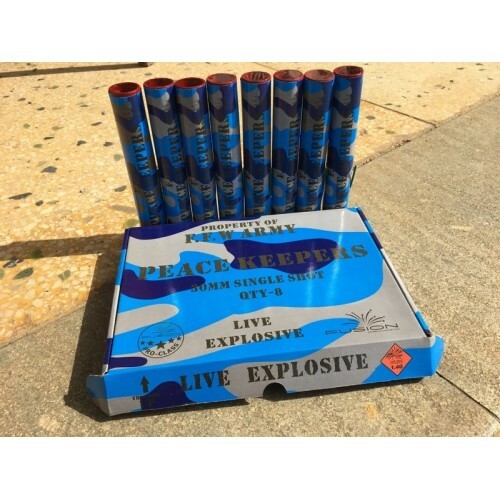 Fusion Peace Keepers Singleshot Pack. This is well and truly the best value single shot pack on the market. The breaks are larger than competitors items at 5 times the price, and the Peace Keepers effects are loads better. High quality heavyweight single shots in 30mm tubes! These are one of our staffs favourites every year for good reason. 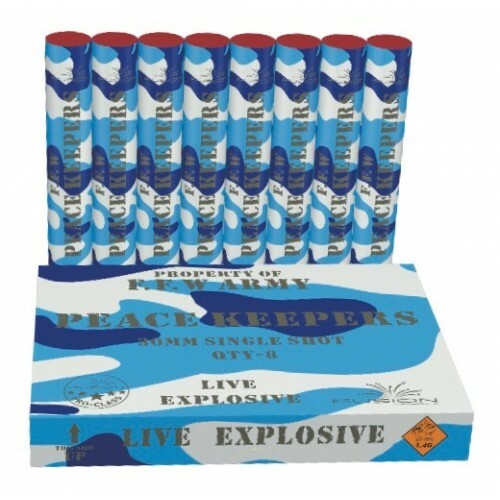 Repackaged for 2018 with Military Blue Camo, these are a must for every fireworks lover!